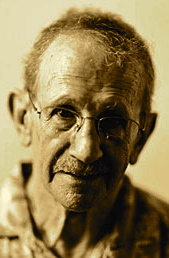 A Year of Being Here: Philip Levine: "What Work Is"
"What Work Is" by Philip Levine, from What Work Is. © Alfred A. Knopf, 1992. 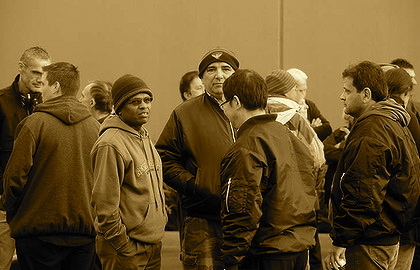 Photography credit: "Workers outside the CMI factory in Campbellfield this morning," by Penny Stephens, April 16, 2012. This poem evoked memories of working summers at the Ford River Rouge plant in Detroit. I was lucky to live in an era when you not only didn't have to wait, hopefully in the rain but could get a summer slot they offered not so much because they needed that help as that they wanted to support the students. There is nonetheless a factory ambience, especially in one as big as River Rouge that I experienced nowhere else. Philip Levine offered a whiff of that time and place in this poem. And even better, I have brothers that I also love. Very nice.